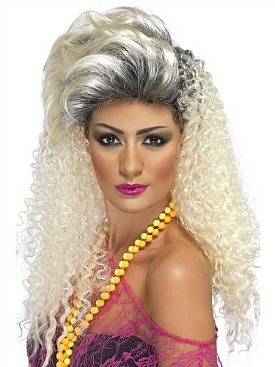 This wig is also available in the U.S. So who remembers having a permed hair style back in the 80s? Hair was crimped and curled to the limits, the bigger and more wild it looked the better (imagine a lion/poodle hybrid in a wind tunnel and you get the picture), and a huge supply of mousse and hair lacquer was the pretty much the norm back then. Accessories such as head bands, scrunchies and bows were also popular. Whether it was hair metal bands or Dierdre Barlow, nobody wanted to be left out. 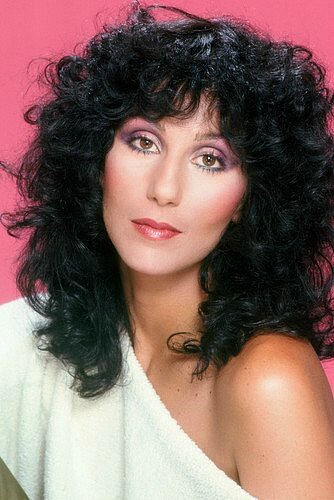 Major celebs to wear the style included Whitney Houston, Sarah Jessica-Parker, Madonna, Cher and even George Clooney - he had a curly mullet in 1984, believe it or not! 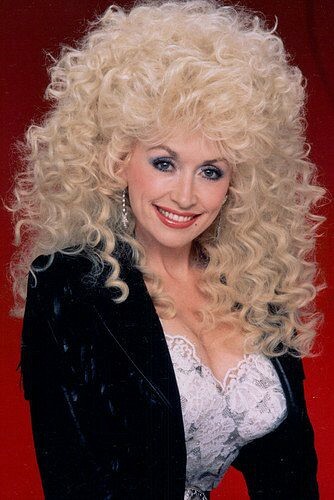 There are big perms and then there are humongous ones. 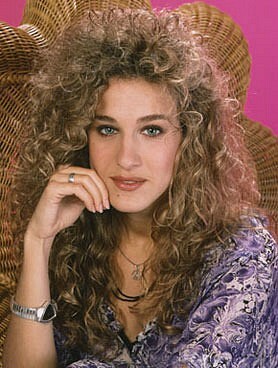 This has to be the biggest spiral perm ever! Well, actually, Dee Snider's may just have been bigger. It's a close call! 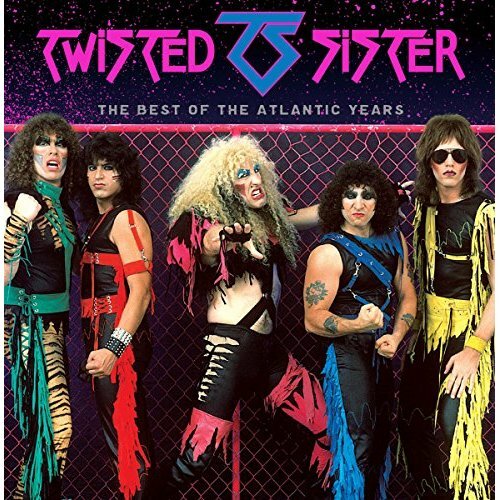 Twisted Sister's frontman Dee Snider had one almighty corkscrew perm! 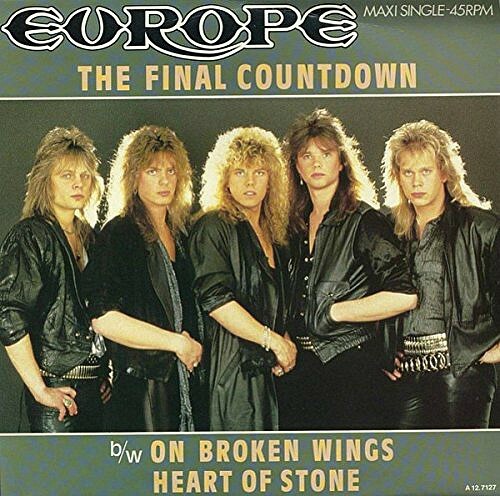 There were many guys who also had perms, particularly in 80s metal bands such as Poison, Van Halen, Cinderella and Europe, to name but a few - the latter are best remembered for their hit single and album The Final Countdown, of course. 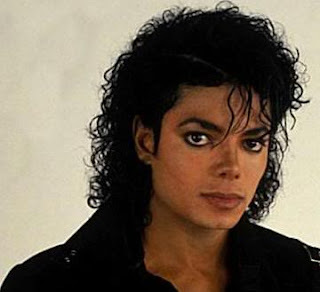 Michael Jackson went from afros in the 70s, to looser curls during his "Thriller" period. 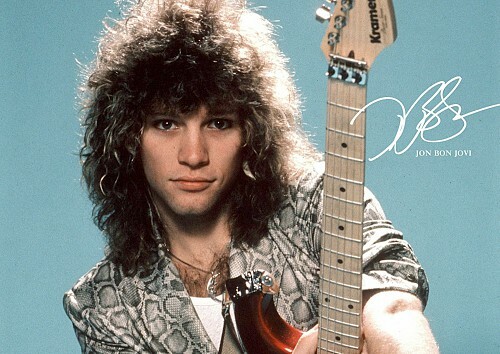 By the time "Bad" was released in '87, his curls had become even looser, wetter and more spiralized. His band was big in the 80s, but his hairstyle was even bigger! 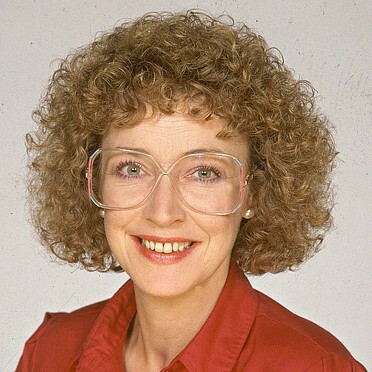 Anyone who grew up in the UK during the 1980s watching Coronation Street will remember this look. I'm not sure which is worse, the glasses or the hair. But the look became iconic, nonetheless. Maybe infamous is a better word to describe it!